As a child, Rick DuCharme would bring home any stray pets he came across. Together, he and his mother would bring the pets to the city shelter. One day, Rick’s mother revealed to him that the pets they brought to the shelter may not have made it out alive. The seed for a life in animal welfare was planted. While working in the heavy equipment industry, Rick began volunteering at various animal shelters and rescues. For years, he observed and researched the issues surrounding homeless pets and became an advocate for an effective spay/neuter program in Jacksonville. Rick brought experience in sales, marketing, and management from his previous career when he was appointed to the “Mayor’s Task Force for Animal Control” in 2001. With Best Friends Animal Society serving as his mentor, Rick founded First Coast No More Homeless Pets a year later with the mission to end the killing of dogs and cats. Many programs later, FCNMHP has helped reduce euthanasia rates in Jacksonville, Florida by an astounding 90 percent. Rick also consults with and mentors groups across the country to help the entire nation reach No Kill status by 2024. Dr. Ravi Kumar Putluru is responsible for all medical and surgical operations at the Norwood Clinic and the Cassat Regional Veterinary Hospital. He achieved his Doctor of Veterinary Medicine degree in 2002 and a Master of Animal Science in 2007. Dr. Putluru worked in animal ER and private practice and witnessed pet euthanasia due to owners’ inability to pay. Driven by a desire to help avoid preventable euthanasia Dr. Putluru sought to provide low-cost veterinary services. Dr. Putluru became the first full-time spay/neuter veterinarian for FCNMHP. After a brief stint in private practice, he returned to his passion as a medical director for FCNMHP. Under his guidance, our clinic and regional hospital have grown into leaders across the Southeast region. Jennifer studied pre-veterinary medicine at the University of New Hampshire with additional focus on business development. She has extensive experience managing veterinary clinics including general practice, emergency and critical care hospitals, and referral hospitals with advanced specialties. Jennifer has worked as a veterinary technician and served on the advisory board for Heritage Institute to consider the development of a veterinary technology program. Jennifer joined FCNMHP in 2014 and has helped with the growth and development, including assisting with the building design for a second veterinary clinic location. She has a special interest in animal-assisted therapy and helped train miniature horses for therapy programs working with young children. Jennifer has volunteered in many animal welfare organizations, including a horse farm for rescued and abused horses and one of the oldest zoos in Massachusetts. Jennifer has a genuine interest in supporting people to provide necessary care for their pets and is dedicated to removing financial barriers to treatment. Her own life has been enriched by many wonderful pets and she believes the human-animal bond has powerful health and social benefits. 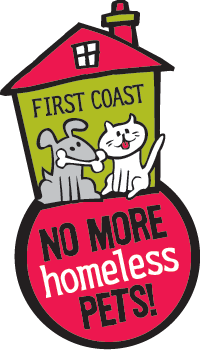 Rob joined First Coast No More Homeless Pets after a varied career traveling the world as a corporate executive before moving to the non-profit arena. The one constant in Rob’s life, and in his family life with wife Cindy and daughters Kate and Annie, is a passion for animals and a home filled with rescued cats and dogs from stops along the way. A native New Englander, Rob spent two decades as a professional sports executive, starting as Director of Marketing and Broadcasting for the Chicago Bulls and then moving to the NBA league office where he helped build a number of domestic and international business units, ending his term as a Senior Vice President in the commissioner’s office. Raised in a military family, Rob’s parents settled in Tampa, and he returned to the Sunshine State to lead the NBA’s business expansion into Latin America in the 1990’s and again to serve as Regional CEO for the American Red Cross in South Florida. Rob and Cindy live in Fernandina Beach with their dogs Lucy and Teddy.